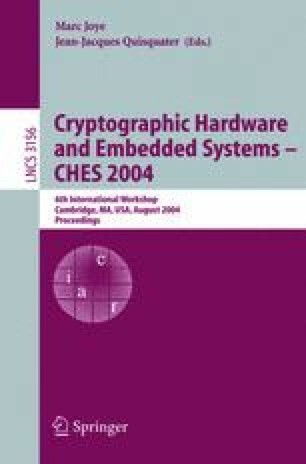 Strong public-key cryptography is often considered to be too computationally expensive for small devices if not accelerated by cryptographic hardware. We revisited this statement and implemented elliptic curve point multiplication for 160-bit, 192-bit, and 224-bit NIST/SECG curves over GF(p) and RSA-1024 and RSA-2048 on two 8-bit microcontrollers. To accelerate multiple-precision multiplication, we propose a new algorithm to reduce the number of memory accesses. Implementation and analysis led to three observations: 1. Public-key cryptography is viable on small devices without hardware acceleration. On an Atmel ATmega128 at 8 MHz we measured 0.81s for 160-bit ECC point multiplication and 0.43s for a RSA-1024 operation with exponent e=216+1. 2. The relative performance advantage of ECC point multiplication over RSA modular exponentiation increases with the decrease in processor word size and the increase in key size. 3. Elliptic curves over fields using pseudo-Mersenne primes as standardized by NIST and SECG allow for high performance implementations and show no performance disadvantage over optimal extension fields or prime fields selected specifically for a particular processor architecture.